Meet Dr Olivia Doll, the world’s smartest dog. Dr Doll is the formal professional name of Ollie, a Staffordshire terrier, who sits on the board of seven international medical journals and was recently asked to review a paper on the management of tumors. But just like the “penises cause climate change” hoaxers, Professor Daube is using humor to make a serious point about the reliability of research in academe. The Canadian investigative journalist Donna Laframboise concluded something similar in a report last year for the Global Warming Policy Foundation. Laframboise was especially damning about the way “peer review” has been used to flatter dubious research in the field of climate ‘science’. This has been a well-publicized problem with climate science ever since the Climategate emails leak showed the scientists at the heart of the global warming ‘consensus’ engaging in all manner of skullduggery in order to prop up their debased cod-scientific theory. “Peer review” has long been the refuge of desperate activists – eg this classic moment starring Ed Begley Jr – who would like us to believe that only the white-labcoated gatekeepers of climate truth are in any position to pronounce publicly about global warming. But anyone who has looked into the issue knows that “peer review” is about as reliable a badge of credibility as “this news story was brought to you by CNN”. Yes of course Titley would like us to believe that the peer-review process is credible and robust because that way, he and his similarly slippery colleagues might be able to wriggle out of the proposal currently being touted by EPA chief Scott Pruitt that there should be a Red Team/Blue Team reassessment of the state of climate science. Pruitt’s proposal – first mooted to Joel Pollak on Breitbart’s Sirius FM show – has naturally caused massive upset among the ivory towers of climate science academe. These people really aren’t at all used to having their dodgy theories exposed to serious scrutiny: that’s what “peer review” was for – to protect them from any awkward questions from outsiders by making darned sure it was only sympathetic fellow-travellers on the climate change gravy train who got to vet their drivel. But if this story from Australia puts funny ideas into their head and they start asking Dr Olivia Doll to peer-review their papers, they should think again. 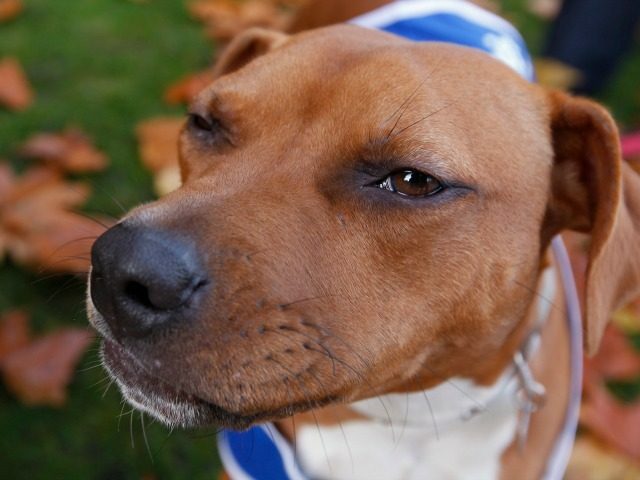 Remember Staffordshire terriers like Dr Olivia are known to be very intelligent – easily clever enough to see through a paper on the Hockey Stick by Michael Mann or Ocean Acidification by any alarmist you could name.